Panasonic and Leica managed to develop together a few camera models that offer anything that a good photographer could ever need. The models that I am talking about are :Panasonic DMC-LX1 , Panasonic DMC-LX2, Leica D-LUX2 , Leica D-LUX3. The models are aimed at photographers that know their way around f-stops and shutter speeds. It is not a SLR, but it was three times cheaper (not considering lenses), 4 times smaller, and has better battery life than most other cameras. Some of the great posibilities offered by the camera are: RAW shooting mode, 16:9 sensor , 28mm wide angle lens, image stabilisation, manual settings up to 60 sec, great movie capabilities, etc. So, as I most certainly need filters , I decided to build my own filter adapter. DISCLAIMER: If you destroy your camera trying to do what i did, I do not care. Do this at your own risk. Heat near a compact digital camera, sandpaper , mechanical pressure, paint and other things used here can ruin your 400 eur camera in seconds. TAKE GOOD CARE. Cut a 3 cm (or a little more) piece from it. I cut 3.1 cm and you cannot notice vignetting in the shots at eide 16:9 28mm. 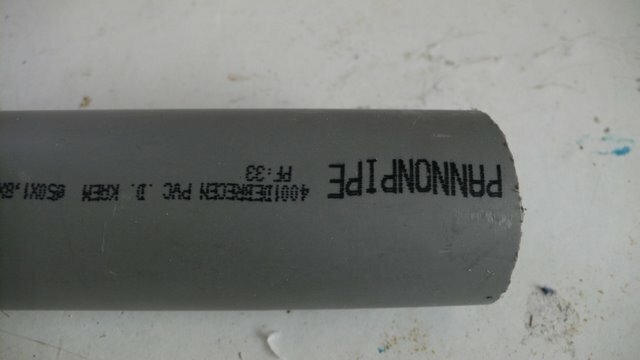 Make sure you have one straight end , take some epoxy or PVC glue (same dept store, Poxipol or similar is very good). 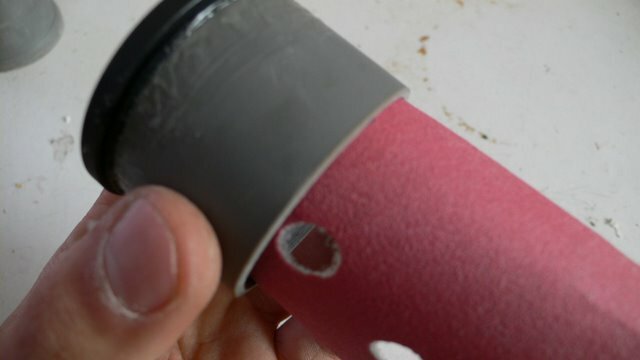 Use the glue to glue an old 52mm filter ring on one end. 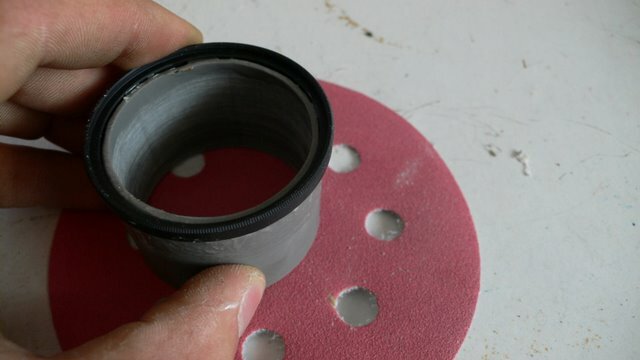 The filter ring will fit over the pipe with just a little grinding with any tool available. Use some grinding on the other side and make sure the piece is totally straight. 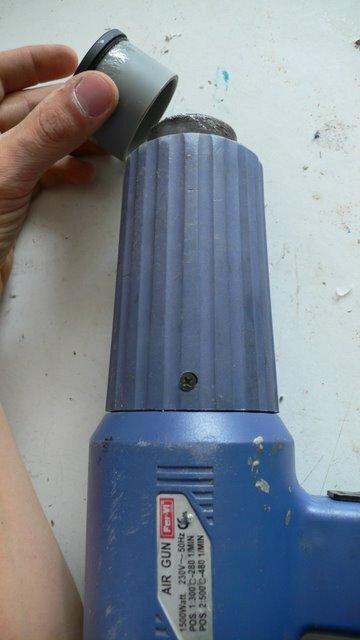 Use a hot air blower or a power lighter or any similar tool to heat the piece up. It will shrink just a little. When it is atill moldable but not very hot, stretch it over the front part of the lens (where the lens cap stays). Move it in a circular motion till it cools and pull it out. Now, you have an end with a filter ring and an end with the exact fit for the lens. 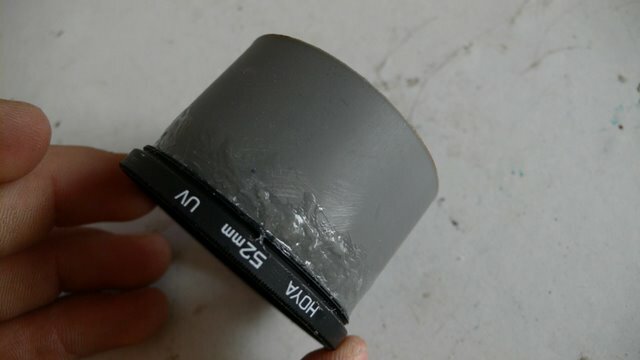 Use some sandpaper or similar to grind a little from the inside of the end , so that it fits easily on the lens end. 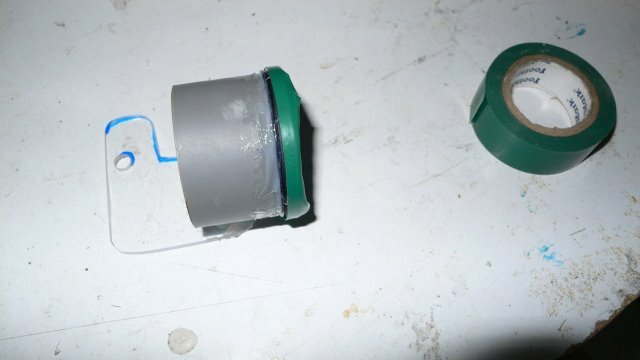 This is basically what your adapter will be like. if you only use filters, this can be good enough. but maybe you want to get a wide converter (50 usd or similar for a 0.7x raynox) and use it to get that totally wide look. 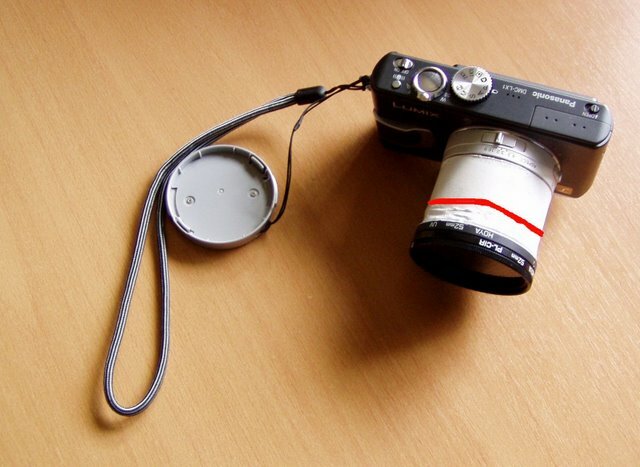 To do that, you must make this adapter more stable and durable, so that you don't destroy your camera or lens. 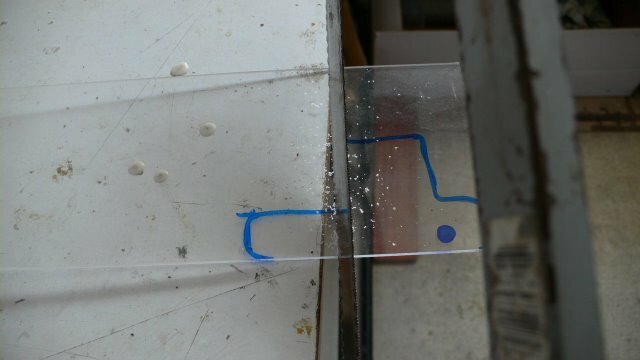 I sticked the two pieces together with epoxy. To stick them, you put them in position (on the lens, and the plate on the tripod socket of the camera). 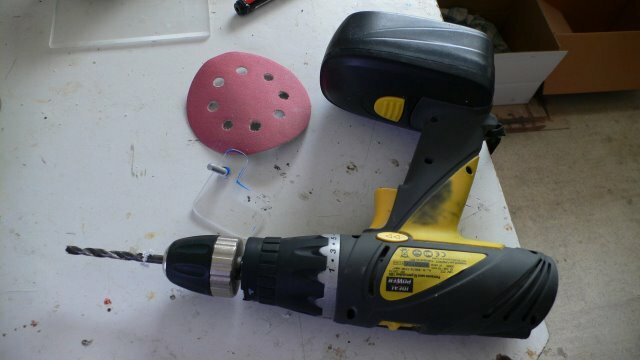 You connect the plate to the tripod socket using any old tripod screw. You can get these in places like your Smena8 leather case, any old flash bracket, some old flash kits, or just a simple screw that fits. I got a nice black plastic one from an old 220V flash kit with bulb that nobody uses anymore. Then, make sure the adapter is straight , so you won't have problems with the lenses. Use some tiny bits of epoxy to fix it in place (CAREFUL not to put epoxy on the camera itself). Oh, and while you are at it, do this treatment to all your pre-1970 all-metal prime lenses , especially the big (200mm / 2.8 like) ones. I use this with a Pl-Cir, ND , Cokin P and similar filters without any problems. This method is suitable to a lot of cameras, not necesarily the LX1, but you have to find the right pieces.